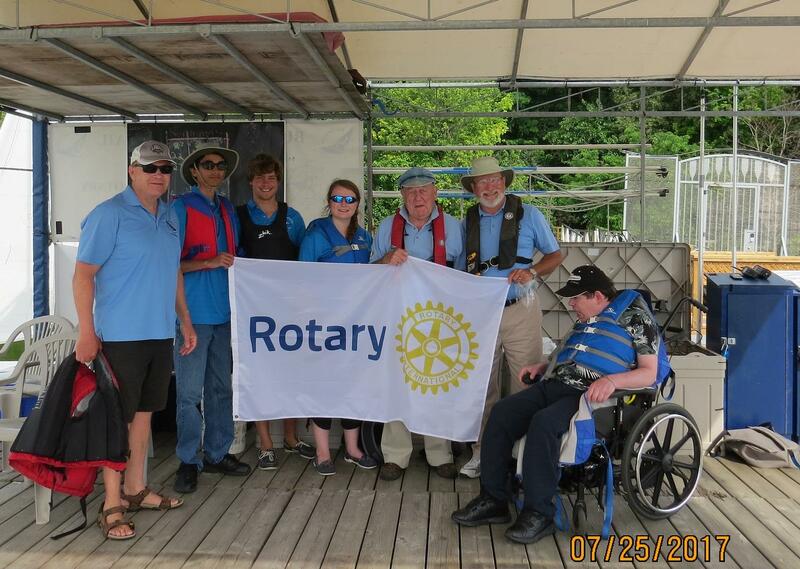 Burlington able Sail Program - On behalf of the Rotary Club of Burlington, Peter French presented a new Rotary flag to Jim Casey, Manager of Burlington’s Able Sail program. The flag will fly over the Able Sail dock at La Salle Park Marina. See more pictures.